Advances in technology (and search engines) has changed consumer behavior considerably in the last decade. A wealth of information is now available to savvy consumers, who extensively research a purchase before engaging with a business. Research has shown that prospect spend 2/3 of the buying process conducting online research before buying from a company. Google further released their own research called "The Zero Moment of Truth" that describes the point in time when a user decides when to reach out to a business. This online research behavior has made its way to business world, as buyers of business technologies (B2B), products, and services doing the same type of research before ever connecting with a salesperson. This means that virtually every business must invest in digital marketing and our preferred methodology is Inbound Marketing. 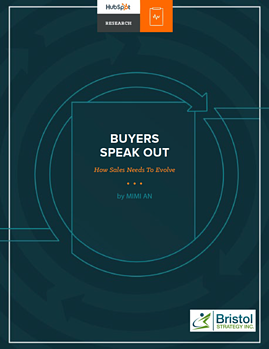 So let’s get real: buyer behavior have changed so much that the traditional sales playbook, developed years and years ago, simply doesn’t work any more. This research provides evidence about how it changed and the true impact it has on business. Frankly, this change is intuitive to most people. Just consider how you use your mobile phone and do your own research into things you need or problems you have. How to overcome the "Trust Deficit"
Prospects just don't trust sales people. That is why it is so much more important to become a trusted advisor. Spam and annoying outreach attempts just don't work anymore. Learn the tactics (called Inbound Sales) that help you overcome the "trust Deficit." This research is not just for sales people, it is for marketing too. Marketing must be a partner with sales to help them with the content they need to engage the modern prospect. Take a few moments to learn from this research. If it provides you just one idea or tip then it will be well worth it. Of course we hope it provides much more insight to help you really improve your methods and increase sales results. Complete the form to the right to download this research report!